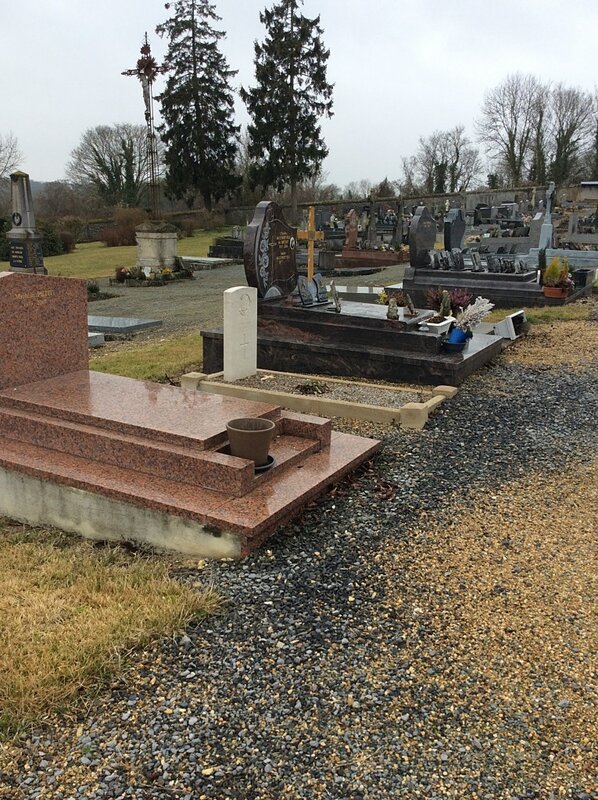 Monchy-Humières is a village situated in the Department of the Oise 10 kilometres north-west of Compiègne on the D935 towards the N17 which leads to Roye. 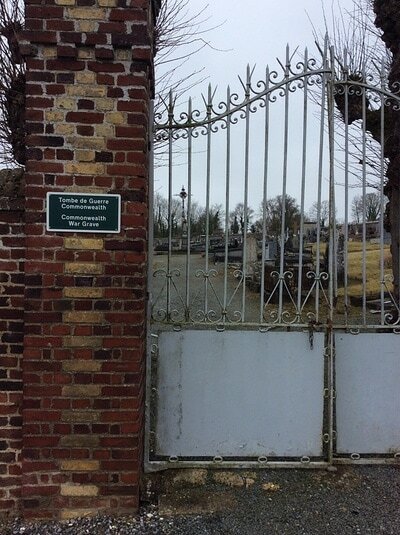 In the north-eastern part of the communal cemtery is one burial of the Great War. 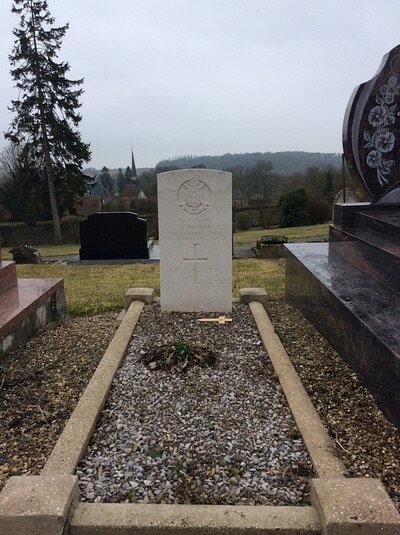 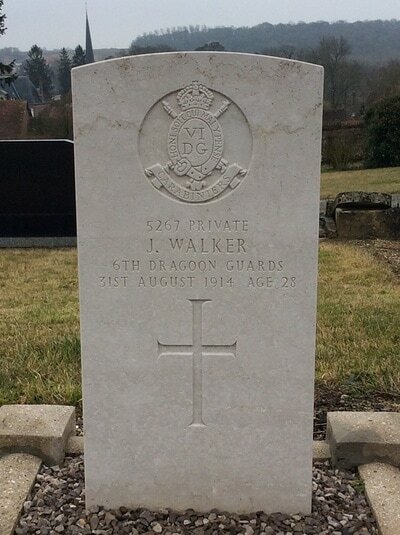 5267 Private John Walker, 6th Dragoon Guards (Carabiniers), died 31st August 1914, aged 28. Husband of Maggie Reid (formerly Walker) of 15 Raeburn Place, Edinburgh.